OM VISA Consultancy - Global Immigration, Students, Visitor, Business & Work VISA Consultants: Study in New Zealand with intakes all year round. Study in New Zealand with intakes all year round. 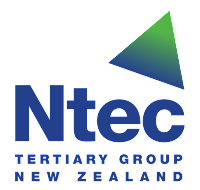 Ntec schools have a proud record of academic excellence and high employability rates for its graduates. Ntec’s innovative, creative and nurturing environment helps each of its students gain the skills and the knowledge for a successful career. Enjoy some of the best industry – standard facilities in New Zealand at our main Campus. Choose from a huge list of course. Small classes and personal attention from your tutors . It is a leader of vocational education delivering range of academic qualifications from certificate to diploma level. Each year 12,000 students including 1000 international students choose to study with us.